WD, SanDisk, HGST, Tegile, G-Technology and CDW are transforming the way businesses leverage data to succeed. Western Digital creates environments for data to thrive by innovating how customers capture, preserve, access and transform an ever-increasing diversity of data. From advanced data centers to personal devices, Western Digital solutions deliver new possibilities. Western Digital is redefining how the world leverages data. Western Digital has developed HelioSeal technology, a foundational building block for high-capacity hard disk drives. This white paper examines basic enterprise SSD differences and highlights key criteria that should be considered in choosing the right device for a given workload or application. Get a range of data center and cloud enterprise-class storage solutions designed to offer the ideal combination of ease of deployment and change, coupled with high levels of performance and reliability. Get innovation at every level of the storage stack. Designed to dramatically improve the performance of databases, these solutions offer greater capacity and high availability, and they are drop-in ready where high performance is critical. This variety of storage arrays helps improve performance and scale capacity for any workload to keep your data and your business moving faster. Optimized with automatic and flexible backup functions, these personal storage solutions offer easier organization and faster transfer speeds whether you're in the comfort of your own home or always on the go. Read about the SanDisk X600 and how it provides an SSD platform that delivers oustanding reliability, durability and capacity. See how Western Digital creates storage solutions that help make it economical to make data alive at scale. Browse Western Digital's wide array of products that include ioMemory, data center solutions like SSDs and client drives. Explore the various options that Western Digital has to offer by browsing through their datasheets. 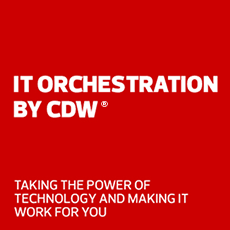 Contact a CDW expert if you need help deciding which storage solution is best for you.